Loul Deng's crucial 3 pushed the Chicago Bulls past the mighty Miami Heat, 93 - 89 as the NBA 2010 - 2011 regular season veers to its homestrecth. I was lucky to be able to watch an important NBA game especially in the east today, the much hyped Miami Heat visited the Chicago Bulls at the United Center. The first half was all Heat, with Lebron James ending the half rolling in a jumper, the Heat up 53 - 44. I decide to watch something else at the break. When I switched back, the Chicago Bulls are now up 80 - 75 with less than 6 minutes to go. But James and the Heat scored 9 straight points to go up 84 - 80. That is when the Bulls woke up. Kyle Korver started the run with a three-pointer and then challenged Mario Chalmers' shot on the other end, leading to an offensive foul on Chalmers. The Bulls regained the lead back on Rose's basket, 85 - 84. Deng's jumper at the top of the key and a long two by Rose, put the Bulls in control 89 - 84. But the Heat weren't finished. Wade scores, and James completed an end-1 play to tie the game 89 - all with just 36.8 seconds left. In the next play, Rose bid his time before driving on the middle against James, attracting a double-team from Wade that made Deng free for a corner three. Chicago up, 92 - 89 with just 16 seconds left. Lebron James' tying three didn't even hit the rim. Korver was fouled and made one of two free throws to round up the scoring. 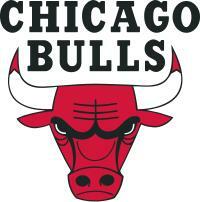 This great win by the Bulls, against the Heat no less, announced its contention for the east title. And now they really complete with Joakim Noah playing again. 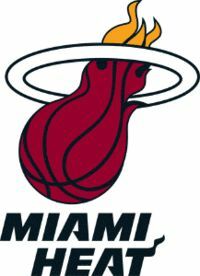 Chicago Bulls logo and Miami Heat logo are taken from wikipedia. Finally, Carmelo Anthony will now be a Knick. Reports are abound that the Denver Nuggets, the New York Knicks and in lesser extent, the Minnesota Timberwolves all agreed in a multi-player mega deal that finally put an end to the Melo-drama trade speculations. 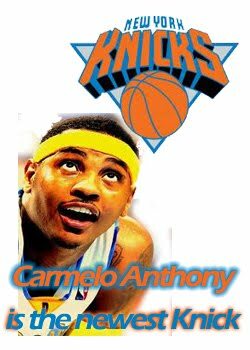 Though the deal is yet to be formalized, the Denver Nuggets let go Carmelo Anthony to his favored city to play at [Knicks] along with Chaucey Billups, Shelden Williams, Anthony Carter and Renaldo Balkman. In return, the Nuggets will get Danilo Gallinari, Raymond Felton, Wilson Chandler and Timofey Mozgov plus draft pics. Minnesota, as part of this deal, will get Eddy Curry and Anthony Randolph. There are other things involved but those are said to be the player movements. Melo probably feels like leaping for joy at the top of the Empire State Building no less with this development. He has long given signs that New York is where he wants to play. Not to mention, he also get the $65 million extension. For the price of giving four NBA starters for Anthony's talents, the New York Knicks are clearly following the blue print of the Miami Heat. And New York can still add another star come 2012. With Melo, playing alongside Amar'e Stoudemire, the Knicks should be a shoo-in to make the playoffs in the next three seasons at least. And MSG can stand for Melo-Stoudemire Garden. But to win a championship? they need solid bench play and, of course, defense. 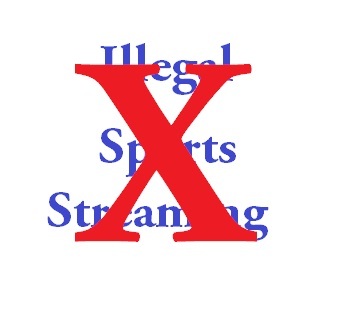 10 sports websites were shut down by US Federal authorities because they are accused of providing illegal access to copyrighted sports broadcasts of the NFL, NBA, NHL, WWE and UFC.